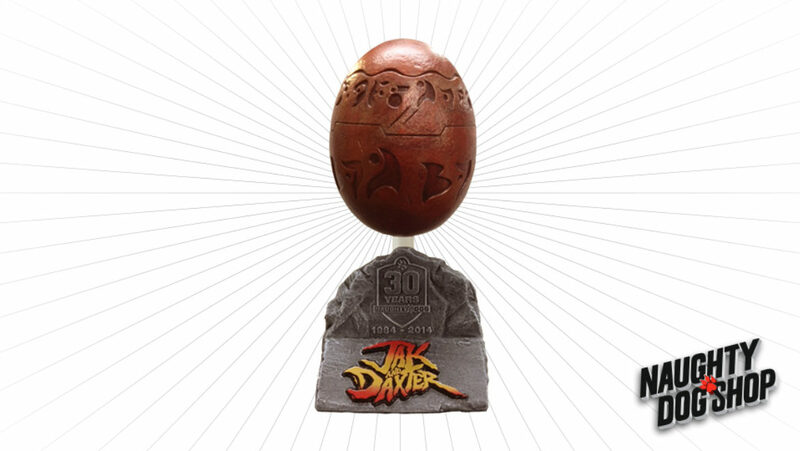 Celebrate our 30th anniversary with this limited edition symbol of our studio - the 30th Anniversary Precursor Orb. The action-packed adventures of PlayStation®2 computer entertainment system’s original dynamic duo, Jak and Daxter, come together for the first time ever on one Blu-ray Disc this February in Jak and Daxter Collection™. Available exclusively for PlayStation®3 (PS3™) computer entertainment system, Jak and Daxter Collection features the first three installments of the multimillion-unit selling franchise: Jak and Daxter: The Precursor Legacy®, Jak II™ and Jak 3™. Each title in the trilogy has been remastered in vibrant 720p high definition by Mass Media, working closely with the series’ critically-acclaimed creator, Naughty Dog Inc. In addition, Jak and Daxter Collection introduces full stereoscopic 3D functionality and PlayStation®Network (PSN) trophy support, making the fan-favorite franchise more engaging and immersive than ever before. ©2012 Sony Computer Entertainment America LLC. Jak and Daxter: The Precursor Legacy and Jak 3 are registered trademarks and The Jak and Daxter Collection and Jak II are trademarks of Sony Computer Entertainment America LLC. Created and developed by Naughty Dog, Inc. ©2001-2004 Sony Computer Entertainment America LLC.